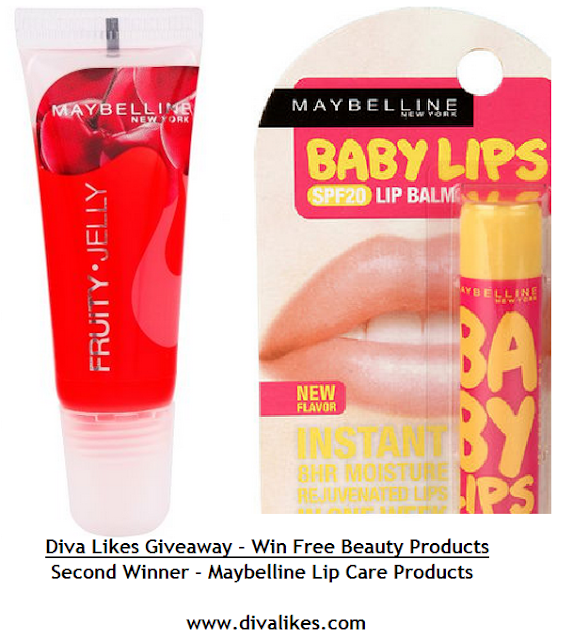 Yet another giveaway came to an end and it is time to announce the 2 lucky winners who get to win free beauty products from Diva Likes. Before we proceed with the winners announcement, we would like to thank all the participants for their enthusiasm. If you do not win now, there is always a next time. We do have many giveaways planned in the coming days. Stay tuned! Lets head on to the happy part now which is the winners announcement. First winner is Divya Asha who earned maximum entries in this giveaway. Congrats Divya! 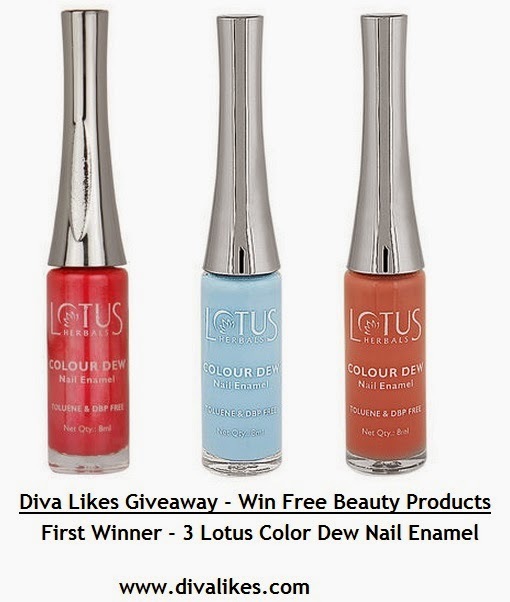 You won 3 Lotus Color Dew Nail Enamel from Diva Likes. Second winner is Gurjeet Chhabra who gets Maybelline lip care products. Congrats Gurjeet! Please mail me your address to writetodivalikes@gmail.com within 48 hours else will have to choose another winner. Thanks a ton Divalikes for considering my efforts to win your giveaway. I'm so happy in winning the 3 Lotus Color Dew Nail Enamels. I'll share the pictures soon. thaxs a lot, i got the prize. it is fast service. one for declaring winner another day i got the prize.